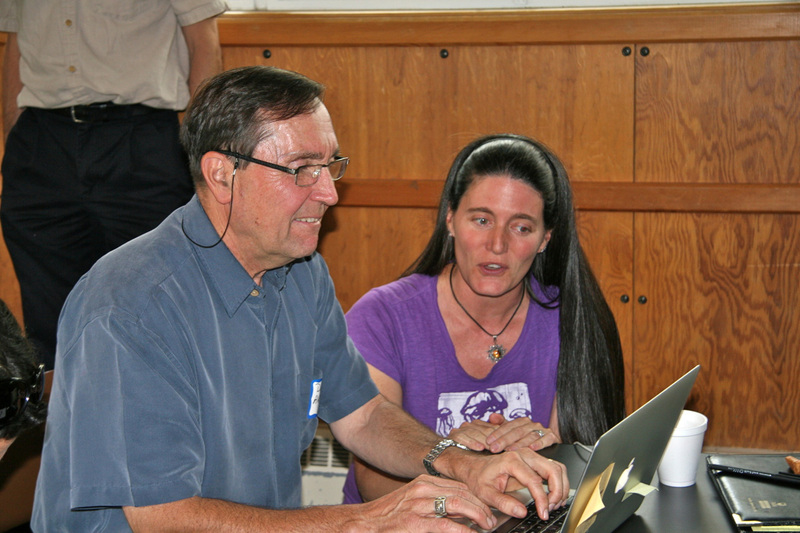 Moore, S.K., Bill, B.D., Hay, L.R., Emenegger, J., Eldred, K.C., Greengrove, C.L., Masura, J.E., Anderson, D.M., in press. Factors regulating excystment of Alexandrium catenella in Puget Sound, WA, USA. Harmful Algae. Bill, B.D., Moore, S.K., Hay, L.R., Trainer, V.L., Anderson, D.M., submitted. Effects of temperature and salinity on growth and toxicity of Alexandrium catenella isolates from Puget Sound, WA, USA. Moore, S.K., Johnstone, J.A., Banas, N.S., Salathé Jr., E.P., submitted. 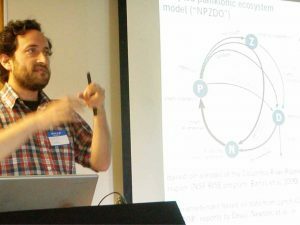 Present-day and future climate pathways affecting the harmful algal blooms species Alexandrium catenella in Puget Sound, WA, USA. Greengrove, C.L., Masura, J.E., Moore, S.K., Bill, B.D, Anderson, D.M. and Trainer, V.L., in prep. 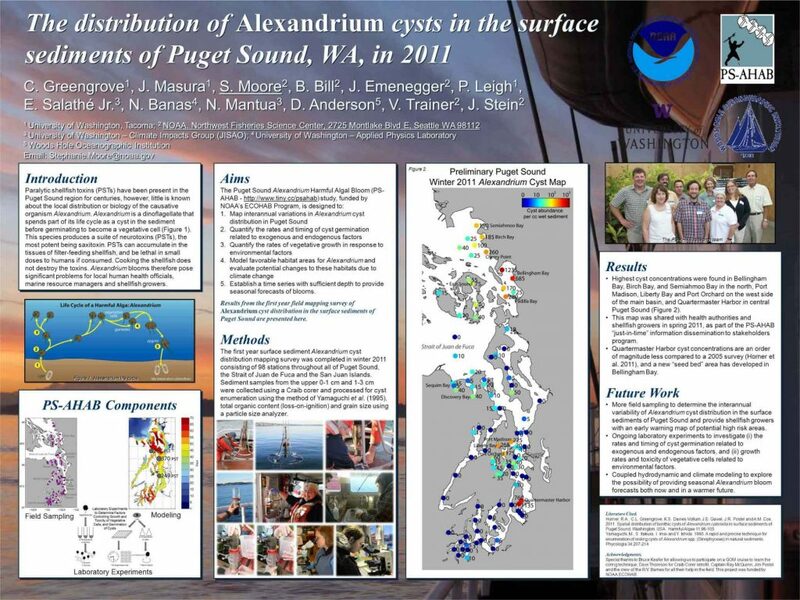 The distribution of Alexandrium catenella cysts in the surface sediments of Puget Sound, WA USA from 2011 through 2013. Greengrove, C.L., Masura, J.E., Moore, S.K., Bill, B.D., Hay, L.R., Banas, N.S., Salathé Jr., E.P., Mantua, N.J., Anderson, D.M., Trainer, V.L., Stein, J.E., 2014. Alexandrium catenella cyst distribution and germination in Puget Sound, WA USA In: Kim, H.G., Reguera, B., Hallegraeff, G.M., Lee, C.K., Han, M.S., Choi., J.K. (Eds. ), Harmful Algae 2012, Proceedings of the 15th International Conference on Harmful Algae. 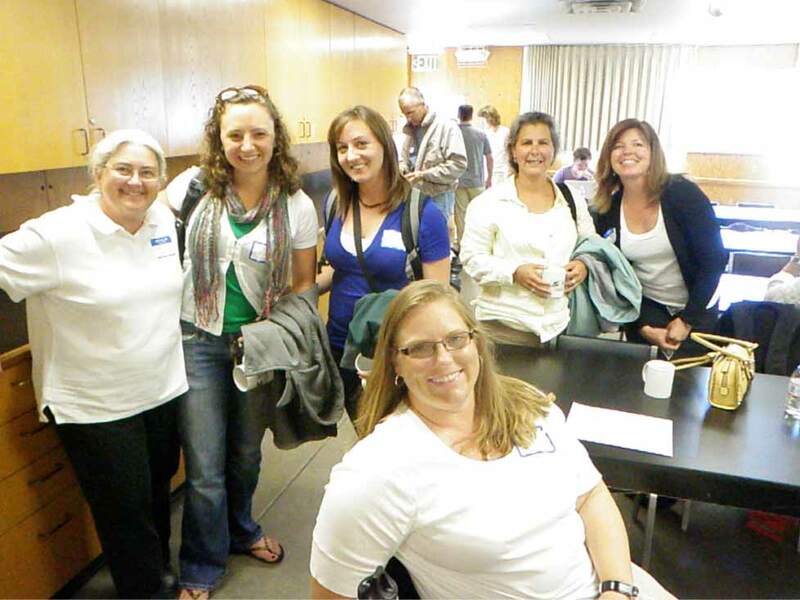 International Society for the Study of Harmful Algae. 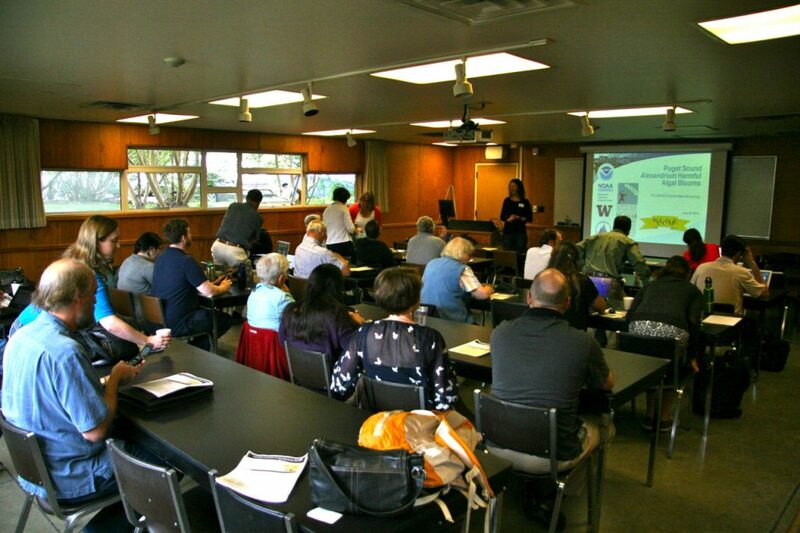 The final PS-AHAB stakeholder meeting took place on June 26, 2014. PS-AHAB investigators presented stakeholders with conclusions about the likely impact of climate change on blooms of Alexandrium catenella in Puget Sound. 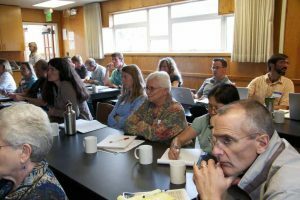 Although many environmental variables, such as runoff and coastal upwelling, will be affected by future warming, the increase in water temperature is the major factor that may lead to a longer window of opportunity for blooms to occur. 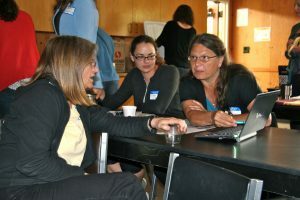 Stakeholders, including state, county, and tribal representatives, shellfish growers and harvesters, and volunteer HAB monitors, expressed satisfaction with information provided by four annual cyst maps (three from this project) showing local HAB hot spots and overall declining cyst abundances since 2005. 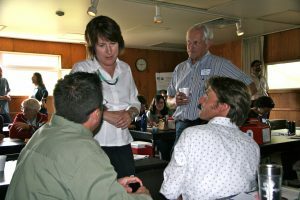 When asked about future needs, state officials expressed strong interest in seasonal forecasts, but industry and local managers want daily to weekly forecasts. The PS-AHAB team will pursue new funding opportunities to further the development of forecasting tools on these timescales. 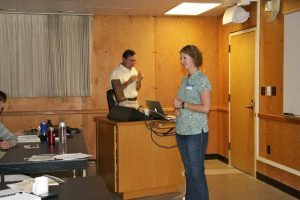 PS-AHAB researchers published a paper in the proceedings of the 15th International Conference on Harmful Algae, held in Changwon, Korea. The paper described interannual variations in cyst abundances and results from assessments of cyst viability and is available for download. Glenn Farley from King 5 and Ashley Ahearn from KUOW joined the PS-AHAB science crew aboard the R/V Barnes during the 2012 Alexandrium cyst survey. 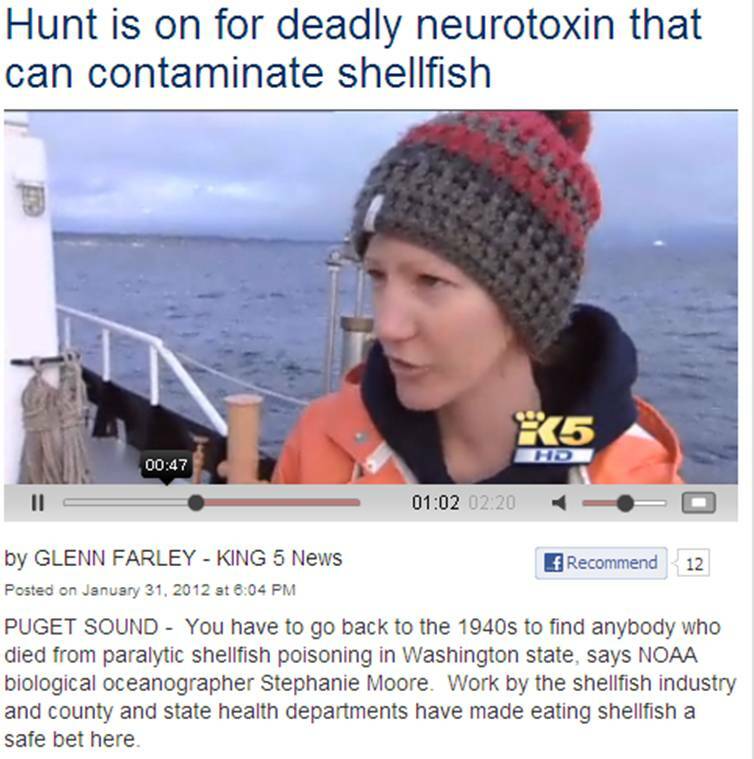 King 5 – “Hunt is on for deadly neurotoxin that can contaminate shellfish”. Glenn Farley. 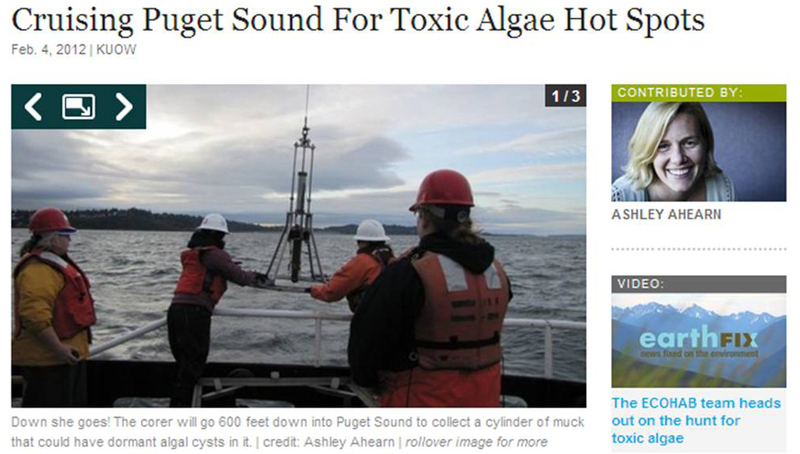 KUOW – “Cruising Puget Sound for Toxic Algae Hotspots“. Ashley Ahearn. PS-AHAB investigators and students presented results of the project thus far at a number of scientific conferences in 2011, including the Salish Sea Ecosystem Conference, 21st Biennial Meeting of the Coastal and Estuarine Research Federation, and the 6th Symposium on Harmful Algae in the United States. These venues provide an excellent opportunity to disseminate the results to managers, policy-makers, and fellow scientists. A poster presentation is available to download below. Please check back regularly for new publications and outreach material. 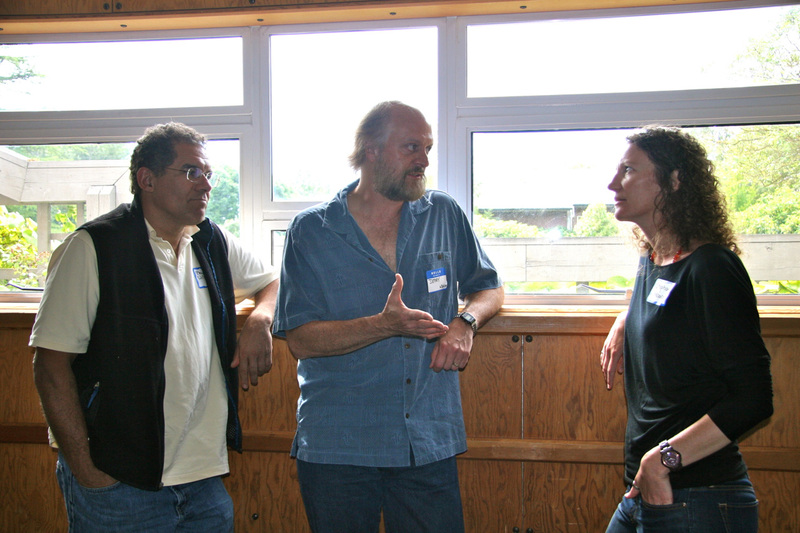 On August 18, 2010, investigators held a day-long workshop to introduce the PS-AHAB project to stake holders and seek their input. The 3-year project is formally entitiled “Modeling favorable habitat areas for “Alexandrium catenella in Puget Sound and evaluating the effect of climate change” and is funded by NOAA’s National Centers for Coastal Ocean Science. A. catenella produces potent neurotoxins which accumulate in shellfish. 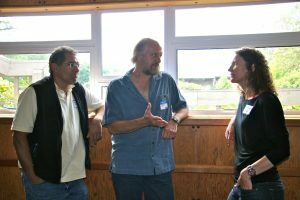 During blooms, which occur in Puget Sound in the summer, harvesting wild and cultured shellfish is banned to protect human health from serious illness and death. 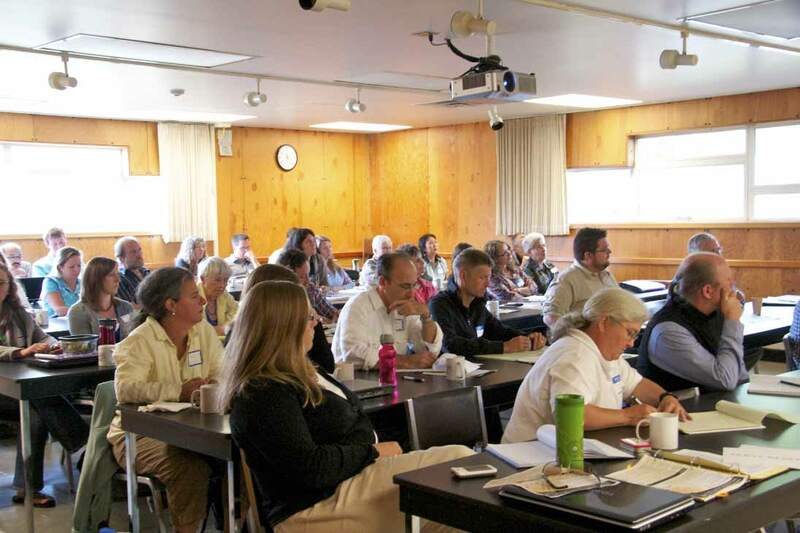 The 43 attendees included Washington State, county, and tribal natural resource, water quality, and public health managers, educators, student, researchers, and shellfish growers. Particularly valuable was advice about sampling site selection to meet the long term goal of providing advance warning of blooms so public health and fisheries managers can plan and implement mitigation measures.